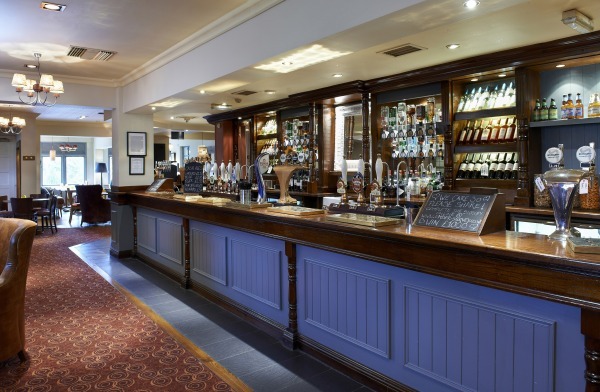 To celebrate the new-look White Lion in Westbury-on-Trym, which re-opened on 16th June, the pub is giving ten lucky Bristol Bites readers the chance to win a £25 voucher to spend on food from its delicious new menu. The White Lion now offers gastro-quality food at affordable prices alongside a range of seasonal cask ales, with five on offer at any one time. 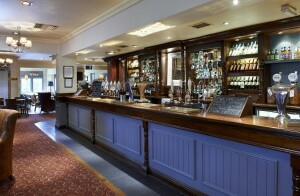 The new menu comprises a wealth of traditional pub dishes with a modern twist. Starters include almond crumbed Somerset Brie, served with an apple salad and redcurrant and juniper jelly, while traditional pub classics such as beer-battered line caught cod and thick cut chips served with a minted pea puree are amongst the main course dishes. In addition to the standard menu, the kitchen team has also developed a number of freshly prepared daily specials including a 21 day matured fillet steak which comes with thick cut chips, onion rings, garden peas and a light parsley butter. Finally, if you’ve still room for more, the dessert menu features a number of modern classics such as warmed chocolate brownie with farmhouse vanilla ice cream. What’s more, if you’re looking to indulge yourself with a tasty treat, the White Lion also offers exclusive deals on its mouth-watering meals. Whether you’re taking advantage of ‘Thursday Grill Night’, where you can tuck into two steaks, two sauces and two drinks for just £20, or ‘Sunday Wine Club’, where all bottles of wine are £10 or less (excluding sparkling wine and champagne), there’s a deal at the White Lion for everyone. And there is plenty to keep guests entertained with weekly quiz nights every Wednesday and Sunday for anyone with a competitive spirit. The competition closes at midday on Friday, August 3rd. For more information, please visit: www.emberpubanddining.co.uk/thewhitelionbristol.